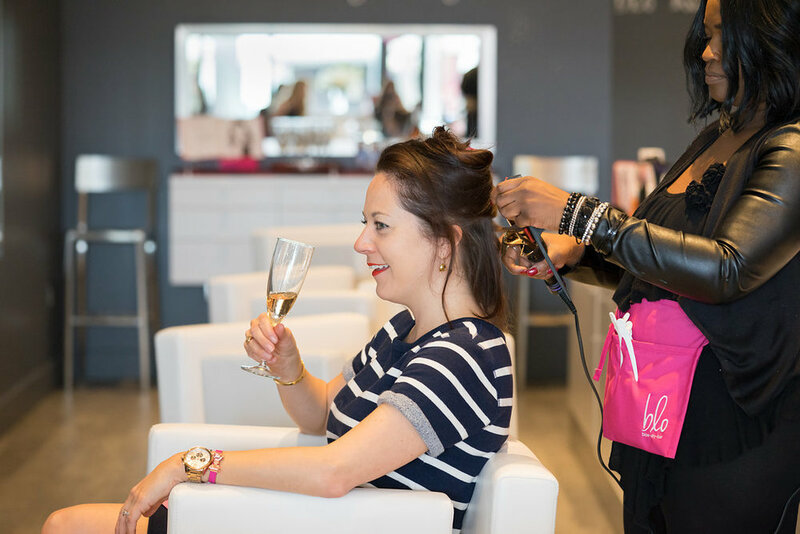 Dry Bars are popping up all over town! No, it's not a place to get a dry martini... but they do have champagne! 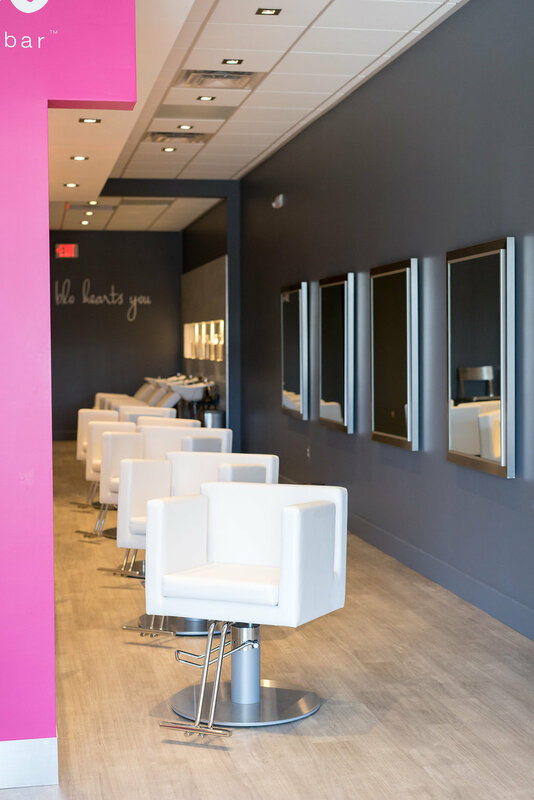 Dry Bars are a unique type of hair salon because they don't do any cuts or color, just amazing styles and blow outs. 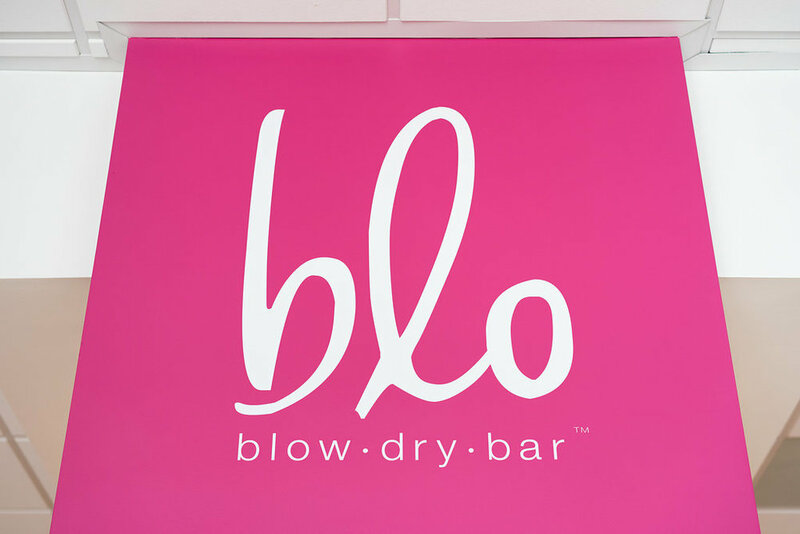 I'm all about finding ways to make every day feel more like the weekend, & I think getting pampered at Blo Blow Dry Bar is a great way to do that! 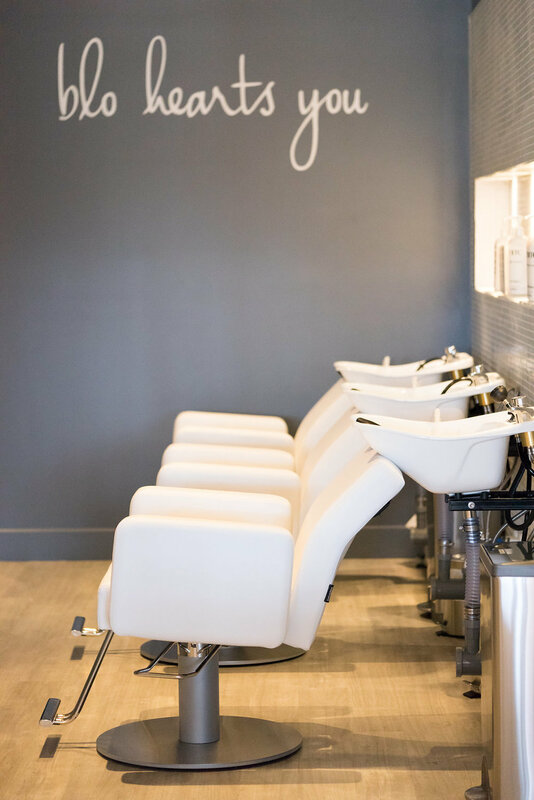 I loved being hosted in this salon, and here are some reasons I can't wait to go back. Champagne is always a good idea, & I felt extra pampered getting to enjoy some bubbly during my service. This would be a really fun way to hang with your bff for a great treat besides a pedicure (in a space with much nicer ambiance). The interior is just gorgeous! These girls know their stuff, as you can tell by how great their own looks are. I loved working with April & Sterling. April gave me a killer blowout, and the next time I went in Sterling put in my clip-in extensions I had from my wedding. They were both awesome and quite the perfectionists, so I was definitely in good hands and could relax the whole time. This is just a place to come get a great style before a night out with the girls or date night. 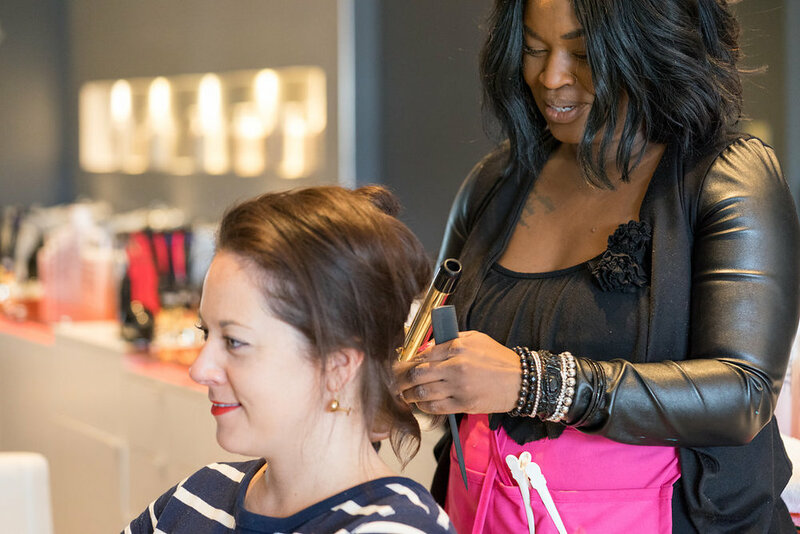 You won't risk getting a haircut you hate or a bleach-happy colorist. You just get an enhanced version of the hair you have, styled by a pro. They can tease it, braid it, curl it, or whatever you pick from their hair menu! 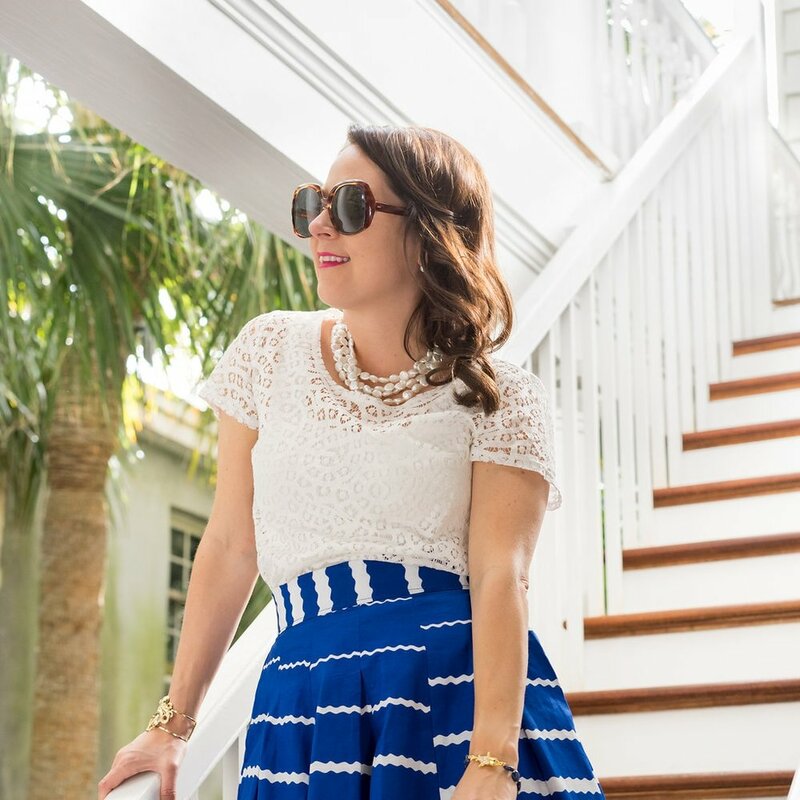 Check out a couple of the great looks they treated me to for Fashion Week!